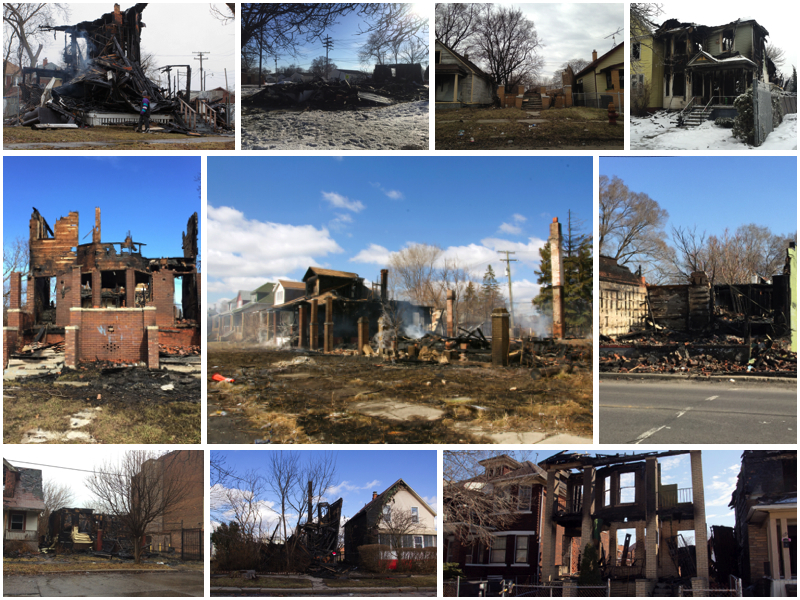 A first-of-its-kind survey reveals the devastating impact of fires on Detroit’s neighborhoods at a time when the city is struggling to stabilize residential areas. From Jan. 1 to July 31, fires damaged or destroyed more than 1,650 houses, apartments, commercial buildings, schools, hospitals and churches, according to Loveland Technologies, a Detroit-based research and mapping group that provides detailed information about every parcel in the city. Snippet of the Loveland Technologies survey. A vast majority of those fires – 1,495 – were in houses and apartments. More than half were occupied. “Occupied residential fires are especially devastating, forcing people out of their homes and eating away at the stability of the city’s neighborhoods,” the report states. Click here to see the report, photos and an interactive map. Two houses burn in Detroit. Photo by Steve Neavling. “Thousands of buildings across the city have suffered some form of fire damage, leaving physical and social holes in the urban fabric that makes up Detroit’s neighborhoods,” the report’s author, John Grover, wrote. Arsons played a significant role. 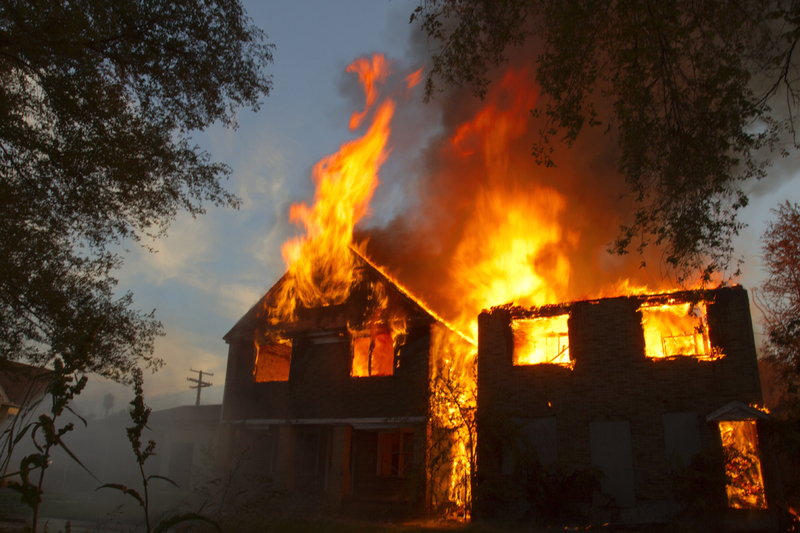 About 58% of all structures fires were suspicious or intentional, and another 18% were of unknown origin. Nearly half of all fires were extensive enough to make the structures “uninhabitable,” displacing more than 1,000 people. Demolishing those 729 houses would cost an estimated $7.5 million, the study estimated. Millions of dollars are still running down the drain, because the city won’t effectively deal with criminals. They’ve got to go. The city and state would then have to deal with mostly in-house criminals.